Super Rita Infrared Need Help? Super Rita Infrared is characterized by an innovative lens designed by the world renowned German manufacturer ZEISS. 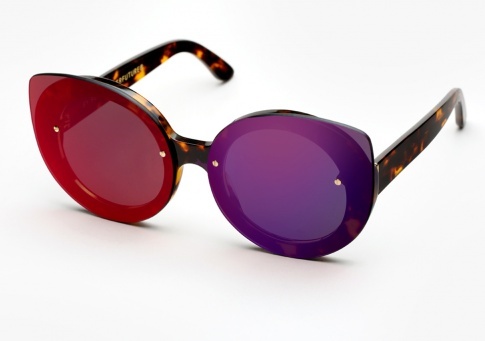 The lenses’ subtly reflective surface presents a prism of brilliant tones—from blue through purple to red—that blends perfectly with the rich havana acetate of this feminine cat-eye frame.